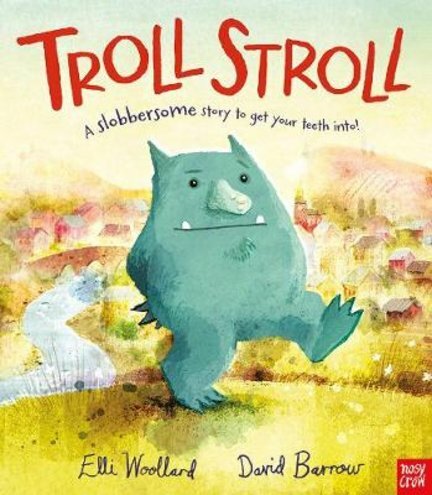 Troll is fed up with eating boring old goats, so off he strolls in search of some yummy children. But that little boy on the bike insists that the four kids in the car behind him will be FAR tastier than him. And look! Those children in the school bus just behind will be even more scrumptious. But then Troll spots some kids in a big digger. They also look jolly tasty. How will this terrible Troll decide who to munch up?